Play It rolled rubber flooring is a durable, seamless surface that dries quickly, increases traction and sheds oil and other liquids easily for fast clean-up. It installs quickly over a clean concrete surface. Durability rises to the challenge in cardio areas, spinning rooms, entry ways, corridors, warm-up areas, locker rooms – virtually any fitness facility area. Play It rolled rubber is polymerically bound, recycled tire rubber with EPDM fleck coloring in a variety of colors. The rolled rubber is seamlessly installed with full-spread glue or dry-lay interlocking sections. 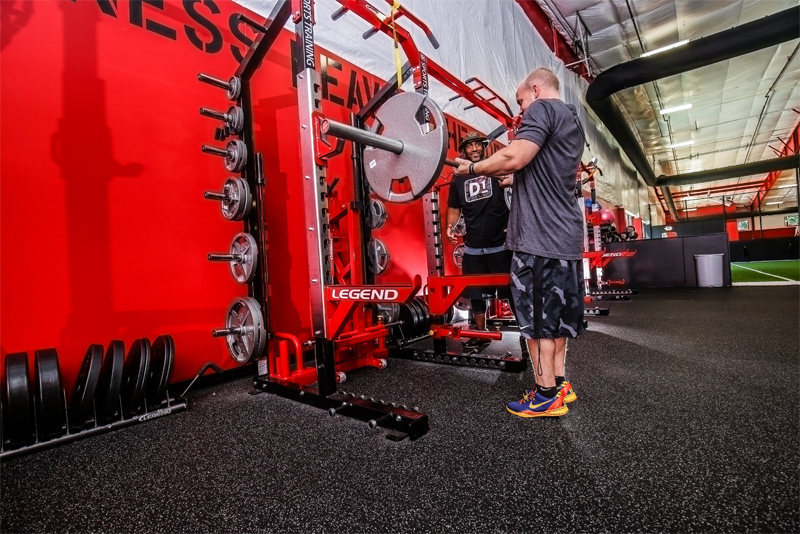 Play It is proud to be the official surfacing vendor of D1 Sports Training.